The core text of the Noӧdynamics Institute is to be released in six volumes, of which the first is currently available to read or download here. Further volumes will be made available on this website in the near future. In the elaboration of The Phenomenology of Culture-Systems, a civilization is shown to be an intrinsically dynamic entity, its cultural forms being externalized manifestations of the internal processes of an organic system. A culture-system, then, is an integrated and coherent pattern of organization, its individual human components interlinked through highly complex and refined cognitive processes. According to the Noӧdynamics view, a High Culture is a nonlinear living system composed of human beings, artifacts, and expressions in continual interaction with one another. High Cultures are self-organizing and self-regulating systems in which individuals, artifacts, and expressions are linked in a complex web of interdependence involving the homeostatic exchange of energy and matter. Although the patterns of experience constituting the data of ‘culture’ will always be subjective to varying degrees, they can nevertheless be quantified and analyzed into fundamental elements, and a scientific model constructed therefrom. The process of model-making consists simply of formulating a logically consistent network of concepts to integrate the empirical data. ‘Phenomenology’ means not just the methodical research and analysis of experience, beyond mere psychologism, but also devotion to a nuanced description of various domains of human experience as a primary task of philosophy. 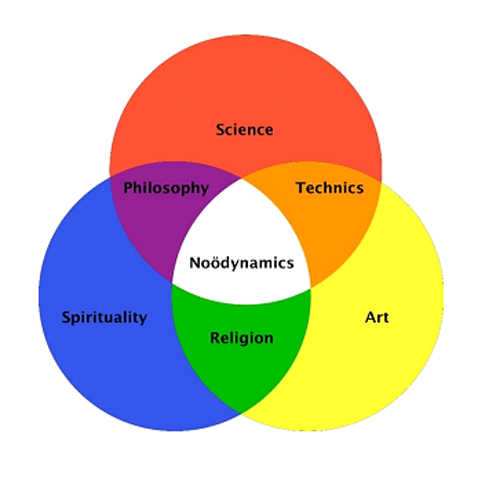 The Noödynamics Institute carries out this task by turning to the largely unexplored realm of intentional encultured experience. 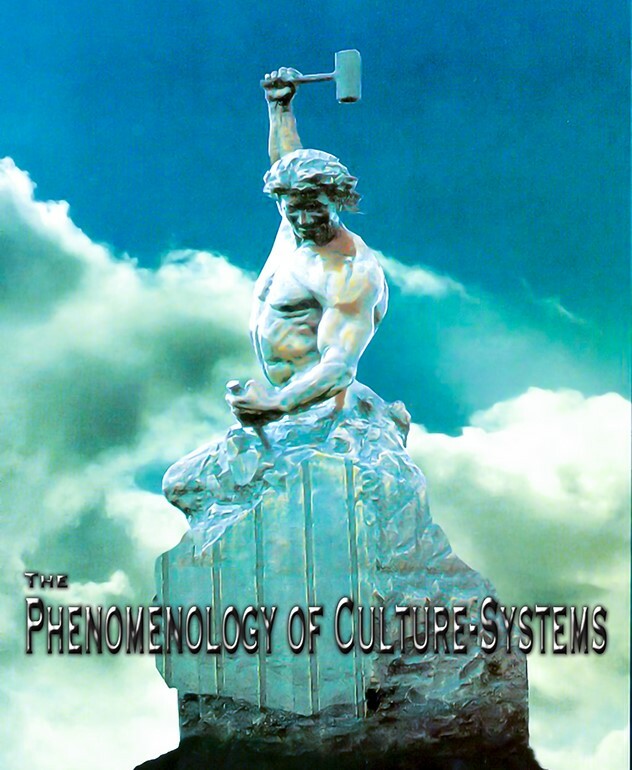 Thus The Phenomenology of Culture-Systems not only marks the culmination of this branch of philosophy but forms the apex of a century of effort in the specific field of phenomenological examination, including cognitive science. To be properly itself, that is to make appropriate use of its inherent potentialities, mankind must be in possession of a unified and comprehensive theory of culture. After the emergence of life and mind, the vast tapestry of knowledge presents nothing so extraordinary, or so challenging to understanding, as the process by which human cognition exploited its own laws so that culture-systems came into existence. This process is unique because it made greater demands on human nature than any other known process of evolution. To achieve this result, human cognition must, by a remarkable constellation of conditions, have somehow been enabled to realize potentialities hitherto latent in humans. Culture must have arisen by the exploitation of hidden aspects of human nature already in operation. This natural development was the formative process of laws of human nature not yet discovered by science. Here science needs a new powerful language and calculus capable of describing the complex patterns and processes. Culture-systems can be recognized by their unique expressions and predispositions, which represent different manifestations of an evolved type of humanity. The manifestation of a unique identity is an important characteristic of culture-systems and this identity is essentially the agency of historical individuation. Culture-systems, as organic units, emerge from an integration of the human resources of the environment, develop through various observable and predictable states from birth to senescence, and then decline and decompose, dissipating their natural resources back into the environment. It has been every scientist’s obligation, at least since Darwin, to read history into natural forms. Noӧdynamics addresses the hitherto entirely neglected historical problem presented by the specific form of the culture-system. Spatio-temporal form implies a process, leading to further inference: Some force must have produced the form; the force which is suggested by the form must have produced the form. When the Noӧdynamicist meditates upon the culture-system, he or she assumes that its structures and functions must have been the result of a process of evolution from some previous less-ordered condition. It is simply scientific to interpret existing form as evidence of a formative process which brought the form into existence. Thus also with the reverse process wherein culture-systems throughout history have simply disappeared. Asymmetries disappear, and symmetries develop spontaneously, but existing symmetries do not disappear without a cause. Culture-system patterns will have to be studied extensively, utilizing various fields, within the framework being established by the science of Noӧdynamics based on a new set of concepts and variables. How should we define ‘culture’? And what is ‘science’? Many people are surprised to learn that definitive meanings for such terms have never been established, even in Academia, and thus this preliminary work remains to be done. The necessary restructuring of information and knowledge will involve a profound transformation of our understanding of Civilization and a concomitant transition within many fields of Academia if they are to adapt to this post-modern view. The Phenomenology of Culture-Systems is the first major step down this path.